“Strongest in Lithuania 2013” - this certificate approves, that the company is reliable and always accomplishes their financial responsibilities on time. Also this certificate grants a big probability that the company will carry out like this in the future. 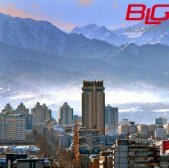 Our company transports partial loads from EU to Kazakhstan and other CIS countries. “Gazells“– growing, flexible and profitable companies. The award of “Gazell“ is handed to these companies, whose return during the last four years was rising. Crucial criteria for evaluating companies – clarity and publicity: consent to publicize financial results. 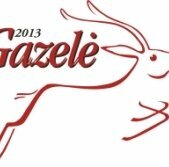 “Gazell“patent is the synonym to quality in Lithuania, as well as in other countries. “Gazells“is international project, which selection criterias stands not only in most Europe countries, but in USA too. The last of more interesting company’s “Cartrans” cargoes, was transformer transported from Lithuania to Macedonia, its weight – 53 tons. 5 meters in length and 3,65 meters in height – this kind of cargo transportation isn’t often met even by experienced transport specialists.